This post was contributed by guest blogger Courtney Price, the Education & Outreach Specialist for the Arabidopsis Biological Resource Center and the Center for Applied Plant Sciences at The Ohio State University. 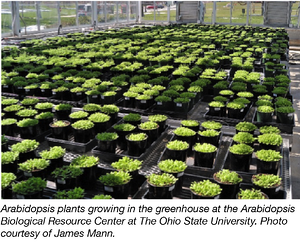 Established in 1991, the Arabidopsis Biological Resource Center (ABRC) is one of two global stock centers for Arabidopsis thaliana (Arabidopsis). Our mission is to collect, preserve, reproduce and distribute seeds, DNA and other resources for Arabidopsis and related species. Located at The Ohio State University in Columbus, Ohio, ABRC ships more than 100,000 samples to researchers and educators in 60 countries each year. Arabidopsis is an important model system for research and is used by scientists around the globe. As a member of the Brassicaceae family, Arabidopsis is related to a variety of food crops such as broccoli, cabbage and kale to name a few. Despite Arabidopsis’ utility to science, and its well-known edible relatives, it is fair to say that most people do not recognize its importance or perhaps even know it exists. Couple that with a condition known to the plant community as ‘plant blindness’ - the tendency for students to be more interested in studying animals than plants, and biology teachers’ preference for using animal systems to demonstrate biological concepts - and you have yourself a plant publicity crisis. The Arabidopsis Biological Resource Center (ABRC) set out to remedy that with the establishment of an outreach program in 2011. With funding from the American Society of Plant Biologists and support from the National Science Foundation, ABRC’s outreach program kicked off with the release of 20 education kits designed for use in K-12 and college-level instruction. Six of the kits, known collectively as Greening the Classroom, were developed and tested by ABRC staff. These kits provide in-depth, ready-to-teach lab protocols and supporting materials such as instructional videos and datasheets. The remaining kits were donated to ABRC by the Arabidopsis research and teaching community through the TRAINED initiative (Translating Research on Arabidopsis Into a Network of Educational Resources). Arabidopsis is used in research to explore a variety of phenomena, and so too can it be used to teach a variety of science concepts. From inheritance and variation, to growth and development, and response to environment - ABRC has kits for all these topics and more. Downloadable materials are available free-of-charge from the ABRC Outreach website. Seeds, which are free for K-12 teachers and available for a nominal fee for university professors, are currently available through TAIR with a new ABRC database and ordering platform soon to be released. For individuals interested in ordering from ABRC for the first time, we recommend reaching out to us at ABRCedu@osu.edu for help setting up an ordering account. Using Arabidopsis in the classroom has many benefits. Engaging students in active learning through hands-on experiments allows them to develop a deeper understanding of scientific concepts than can be gained from lectures alone. Using plants as an experimental system comes with fewer ethical and logistical challenges than does working with animals. Because Arabidopsis is small, has a short life cycle, and is relatively easy to grow, it is an ideal organism for teachers looking to expand their science curriculum. Growing Arabidopsis in the classroom does not require a huge investment in resources. The materials needed to conduct the experiments outlined in ABRC’s kits vary by module. As a general guideline, experiments that include growing plants require pots, trays, soil, fertilizer, seeds and a growth space with fluorescent lights. Other experiments require only seeds, petri dishes, and filter paper. Another benefit of using Arabidopsis in the classroom is that staff from the ABRC are here to support you! From questions about growing conditions, to guiding students through specific protocols, ABRC staff are available via e-mail and phone to answer questions and provide support. Over the years, the outreach efforts of ABRC have grown. A few new kits have been added, and more are under development. Today, ABRC does more than create and share resources, we seek out opportunities to engage people in science learning. 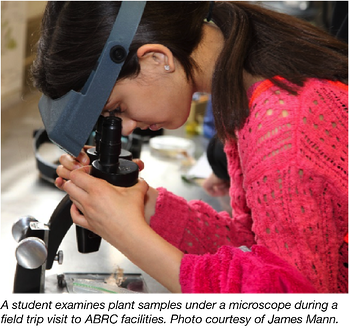 Whether visiting classrooms, hosting field trips, conducting teacher workshops, or staffing a booth at local science festivals, ABRC gets the word out about the importance of plant sciences. In 2017 alone, ABRC staff reached more than 4,000 people through our outreach efforts. Our education partnerships have grown to include local school districts, professional education associations, and local organizations such as the Center for Science and Industry (COSI) and the Franklin Park Conservatory. 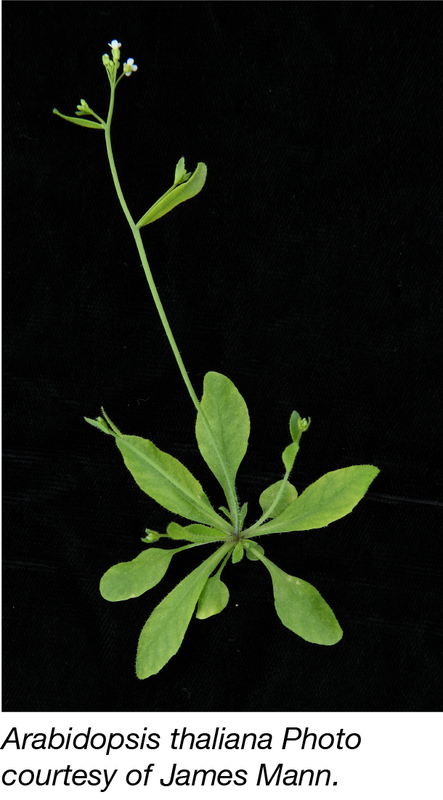 Do you use Arabidopsis in your research? Are you a biology teacher or professor? Whether you are looking to develop a new teaching resource or you want to introduce Arabidopsis to your class for the first time – we want to hear from you. Reach out to us at ABRCedu@osu.edu. Many thanks to our guest blogger, Courtney Price! 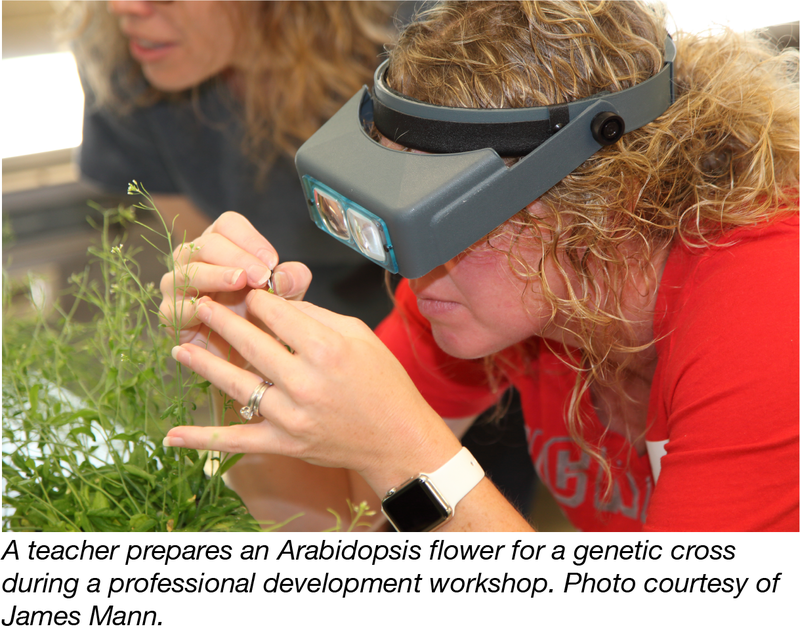 Courtney Price is the Education & Outreach Specialist for the Arabidopsis Biological Resource Center and the Center for Applied Plant Sciences at The Ohio State University. In her work, she focuses in public engagement in science and promoting plant science in K-12 education.